healthy, gluten free organic and vegan foods and beverages! Annie Chun’s – www.anniechun.com – vegans, vegetarians, gluten free, kosher, organic, kids. Arico Foods – www.aricofoods.com – product line offers options suitable for: vegans, vegetarians, gluten free, kosher, organic, kids, natural sweeteners. Beanitos – www.beanitos.com – vegans, vegetarians, gluten free, soy free, kosher, organic, kids, natural sweeteners. Cavewoman Bars – www.cavewomanbars.com– product line offers options suitable for: vegans, vegetarians, gluten free, raw, kosher, soy free, kids, natural sweeteners. Chocolatl – www.flowfoodschocolatl.com – product line offers options suitable for: vegans, vegetarians, gluten free, organic, soy free, raw. Cliff and Luna – www.clifbar.com & www.lunabar.com – product line offers options suitable for: vegans, vegetarians, kosher, organic, diabetics, natural sweeteners, pre-natal – green company. Cool Cups – www.cool-cups.com – product line offers options suitable for: vegans, vegetarians, kosher, organic, diabetics, natural sweeteners, gluten free. Flanigan Farms – www.flaniganfarms.com – product line offers options suitable for: vegans, vegetarians, gluten free, kosher, organic, kids, natural sweeteners. Funky Monkey Snacks – www.funkymonkeysnacks.com – product line offers options suitable for: vegans, vegetarians, raw, gluten free, kosher, organic, kids, natural sweeteners. Galaxy Granola – www.galaxygranola.com – product line offers options suitable for: vegans, vegetarians, organic, low fat diet, kids, natural sweeteners – green company. Good On Ya Bars – www.thegoodonyabar.com – product line offers options suitable for: vegans, vegetarians, organic, raw, natural sweeteners – green company. Hail Merry – www.hailmerry.com – product line offers options suitable for: vegans, vegetarians, gluten free, raw, kids, natural sweeteners. Heidi Ho Organic’s – www.heidohoorganics.com – product line offers options suitable for: vegans, vegetarians, gluten free, raw, kids, organic. Keen-Wah Bars – www.yogaearth.com – product line offers options suitable for: vegans, vegetarians, gluten free, kosher, organic, raw, kids, natural sweeteners, soy free. Kim’s Magic Pop – www.kimsmagicpop.com – product line offers options suitable for: vegans, vegetarians, kids, natural sweeteners. Lara Bar – www.larabar.com – product line offers options suitable for: vegans, vegetarians, gluten free, kosher, organic, raw, kids, natural sweeteners, soy free, low carb. Mary’s Gone Crackers – www.marysgonecrackers.com – product line offers options suitable for: vegans, vegetarians, gluten free, kosher, kids. NuGo Nutrition Bar – www.nugonutrition.com – product line offers options suitable for: vegans, vegetarians, gluten free, kosher, natural sweeteners, soy free, low carb. Popchips – www.popchips.com – product line offers options suitable for: vegans, vegetarians, gluten free, kosher, kids. ProBar – www.theprobar.com – product line offers options suitable for: vegans, vegetarians, organic, non gmo. Pure Bar – www.thepurebar.com – product line offers options suitable for: vegans, vegetarians, gluten free, organic, soy free, kids, raw. Purefit Bars – www.purefit.com – product line offers options suitable for: vegans, vegetarians, gluten free, kosher, organic, diabetics, kids, natural sweeteners, zone, high performance. Revolution Foods – www.revfoods.com – product line offers options suitable for: vegans, vegetarians, gluten free, organic, soy free, kids. Rhythm SuperFoods – www.rhythmsuperfoods.com – product line offers options suitable for: vegans, vegetarians, gluten free, raw, soy free, kids. Sea Snax – www.seasnax.com – product line offers options suitable for: vegans, vegetarians, raw, gluten free, sugar free, organic, kids. Sensible Portions – www.sensibleportions.com – product line offers options suitable for: vegans, vegetarians, gluten free, kids. Spinny Chips – www.spinnychips.com – product line offers options suitable for: vegans, vegetarians, organic, kids. Stretch Island Fruit Co. – www.stretchislandfruit.com – product line offers options suitable for: vegans, vegetarians, kosher, organic, kids, natural sweeteners. Wine Time Bars – www.winetimebar.com – product line offers options suitable for: vegans, vegetarians, kosher, organic, natural sweeteners. Yoga Chips -Apple Chips –www.yogavive.com – product line offers options suitable for: vegans, vegetarians, gluten free, kosher, organic, kids, natural sweeteners, halal. Cavi-Art – www.cavi-art.com – product line offers options suitable for: vegans, vegetarians, gluten free, kosher – green company. Crazy Good Hot Sauce – www.crazygoodsauce.com – product line offers options suitable for: vegans, vegetarians, gluten free, kosher, all natural. Earth Balance – www.earthbalancenatural.net – product line offers options suitable for: vegans, vegetarians, gluten free, organic, soy free. Frieda’s Specialty Prodce – www.friedas.com – product line offers options suitable for: vegans, vegetarians, gluten free, organic, soy free. Food For Lovers Vegan Queso – www.food-for-lovers.com – product line offers options suitable for: vegans, vegetarians, gluten free, kosher – green company. Fungus Among Us – www.fungusamongus.com – product line offers options suitable for: vegans, vegetarians, gluten free, kosher. Galaxy Foods – www.galaxyfoods.com – product line offers options suitable for: vegans, vegetarians, gluten free, kosher, kids. Mimic Creme – www.mimiccreme.com – product line offers options suitable for: vegans, vegetarians, gluten free, soy free, kids, kosher. Miso & Easy – www.misoandeasy.com – product line offers options suitable for: vegans, vegetarians, gluten free, kosher. Nacheez – www.nacheez.com – product line offers options suitable for: vegans, vegetarians, gluten free, kosher. Pure Food– www.purefood.com – product line offers options suitable for: vegans, vegetarians, gluten free, kosher. Stonehouse 27 – www.stonehouse27.com – product line offers options suitable for: vegans, vegetarians, gluten free, kosher. SweetLeaf Stevia – www.sweetleaf.com – product line offers options suitable for: vegans, vegetarians, gluten free, kosher, organic, kids, diabetic friendly – green company. Sustainable Sourcing – www.sweetleaf.com – product line offers options suitable for: vegans, vegetarians, gluten free, kosher, organic – green company. Tropical Traditions – www.tropicaltraditions.com – product line offers options suitable for: vegans, vegetarians, gluten free, soy free, kosher, organic – green company. Allergaroo – www.allergaroo.com – product line offers options suitable for: vegans, vegetarians, gluten free, soy free, kids. Amy’s Kitchen – www.amys.com – product line offers options suitable for: vegans, vegetarians, gluten free, organic, soy free. Cedar’s Mediterranean Foods – www.cedarsfoods.com – product line offers options suitable for: vegans, vegetarians, gluten free, kosher, low carb, low fat. Cedarlane – www.cedarlanefoods.com – product line offers options suitable for: vegans, vegetarians, kosher, organic, low fat, zone. Chicago Soy Dairy – www.chicagosoydairy.com – product line offers options suitable for: vegans, vegetarians, gluten free – green company. Daiya Cheese – www.daiyafoods.com – product line offers options suitable for: vegans, vegetarians, gluten free, soy-free. Dr. Cow Nut Cheese – www.dr-cow.com – product line offers options suitable for: vegans, vegetarians, gluten free, organic, soy free. Dr. McDougall’s Right Foods – www.rightfoods.com – product line offers options suitable for: vegans, vegetarians, gluten free, organic, kids. EcoVegan – www.ecovegan.com – product line offers options suitable for: vegans, vegetarians. Field Roast – www.fieldroast.com – product line offers options suitable for: vegans, vegetarians. Fillo Factory – www.fillofactory.com – product line offers options suitable for: vegans, vegetarians, organic, kosher. Goldmine Natural Foods – www.goldminenaturalfoods.com – product line offers options suitable for: vegans, vegetarians, kosher, organic, non-gmo. Harmony Valley Vegetarian Meat – www.harmonyvalleyfoods.com – product line offers options suitable for: vegans, vegetarians. Heidi Ho Organics – www.heidihoorganics.com – product line offers options suitable for: vegans, vegetarians, gluten free, organic, kosher. Helen’s Foods – www.helensfoods.com – product line offers options suitable for: vegans, vegetarians, gluten free, organic, kosher. Kettle Cuisine – www.kettlecuisine.com – product line offers options suitable for: vegans, vegetarians, gluten free, kosher. Lundberg Family Farms– www.lundberg.com – product line offers options suitable for: vegans, vegetarians, gluten free, kosher. Match Vegan Meats – www.matchmeats.com – product line offers options suitable for: vegans, vegetarians. Miracle Noodle – www.miraclenoodle.com – product line offers options suitable for: vegans, vegetarians, low fat, low calorie, soy free, gluten free. Nasoya – www.nasoya.com – product line offers options suitable for: vegans, vegetarians, gluten free, organic, soy free. Nuovo Pasta – www.nuovopasta.com – product line offers options suitable for: vegans, vegetarians, low fat, low calorie, soy free, gluten free. Peas of Mind – www.peasofmind.com – product line offers options suitable for: vegans, vegetarians, gluten free, soy free. Pop Culture Probiotics – www.popcultureprobiotics.com – product line offers options suitable for: vegans, vegetarians, soy free. Sophie’s Kitchen – www.sophieskitchen.net – product line offers options suitable for: vegans, vegetarians, gluten free, soy free, kids, low fat. Sukhi’s Indian Cuisine – www.sukhis.com – product line offers options suitable for: vegans, vegetarians, kids, low fat. Van’s – www.vansfoods.com – product line offers options suitable for: vegans, vegetarians, kosher, gluten free, organic, kids, natural sweeteners, low fat. 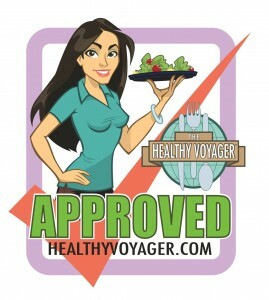 Vegan Heights – www.veganheights.com – product line offers options suitable for: vegans, vegetarians, gluten free, organic, kids, natural sweeteners. Vegetarian Plus – www.vegeusa.com – product line offers options suitable for: vegans, vegetarians, gluten free, organic, kids, natural sweeteners. Activate Water – www.activatedrinks.com – product line offers options suitable for: vegans, vegetarians, gluten free, natural sweeteners. Frey Wine – www.freywine.com – product line offers options suitable for: vegans, vegetarians, organic, no sulfites added – green company. Guayaki Mate – www.guayaki.com – product line offers options suitable for: vegans, vegetarians, kosher, organic, natural sweeteners – green company. Picabi – www.picabi.com – product line offers options suitable for: vegans, vegetarians, gluten free, soy free, kids. Revolution Teas – www.revolutiontea.com – product line offers options suitable for: vegans, vegetarians, gluten free, organic, natural sweeteners – green company. Sinless Cocktails – www.sinlesscocktails.com – product line offers options suitable for: vegans, vegetarians, diabetic, natural sweeteners. Sambazon – www.sambazon.com – product line offers options suitable for: vegans, vegetarians, raw, gluten free, soy free, organic, kids, moms, natural sweeteners – green company. Stirrings – www.stirrings.com – product line offers options suitable for: vegans, vegetarians, gluten free, organic, natural sweeteners. Svelte – www.svelteproducts.com – product line offers options suitable for: vegans, vegetarians, gluten free, natural sweeteners. Taylor’s Tonics – www.taylorstonics.com – product line offers options suitable for: vegans, vegetarians, gluten-free, natural sweeteners. Teecino – www.teecino.com – product line offers options suitable for: vegans, vegetarians, gluten-free, kosher,caffeine-free, non gmo. VeeV – www.veevlife.com – product line offers options suitable for: vegans, vegetarians, natural sweeteners – green company. Zevia – www.zevia.com – product line offers options suitable for: vegans, vegetarians, natural sweetener, diabetic. Zhena’s Gypsy Tea – www.gypsytea.com – product line offers options suitable for: vegans, vegetarians, organic, kosher – green company. Zico – www.zico.com – product line offers options suitable for: vegans, vegetarians, gluten free, soy free. Allison’s Gourmet – www.allisonsgourmet.com – product line offers options suitable for: vegans, vegetarians, gluten-free, organic, kids, natural sweeteners. Antidote Chocolate – www.antidotechoco.com – product line offers options suitable for: vegans, vegetarians, gluten-free, organic, raw, natural sweeteners. Bob’s Red Mill – www.bobsredmill.com – product line offers options suitable for: vegans, vegetarians, gluten-free, soy-free, organic, kids, natural sweeteners. Chocolate Decadence – www.chocolatedecadence.com – product line offers options suitable for: vegans, vegetarians, gluten free, kosher, soy free, kids, natural sweeteners. Chocolate Inspirations – www.chocolateinspirations.com – product line offers options suitable for: vegans, vegetarians, gluten free, kosher, soy free, kids, natural sweeteners. Coconut Bliss – www.coconutbliss.com – product line offers options suitable for: vegans, vegetarians, organic, soy-free, kids, natural sweeteners. Dandies – www.chicagosoydairy.com – product line offers options suitable for: vegans, vegetarians, natural sweeteners, kids. Eat Pastry – www.eatpastry.com – product line offers options suitable for: vegans, vegetarians, gluten free, organic, natural sweetners, kids. Glee Gum – www.gleegum.com – product line offers options suitable for: vegans, vegetarians, soy-free, kids, natural sweeteners. Go Max Foods – www.gomaxgofoods.com – product line offers options suitable for: vegans, vegetarians, kids, natural sweeteners. 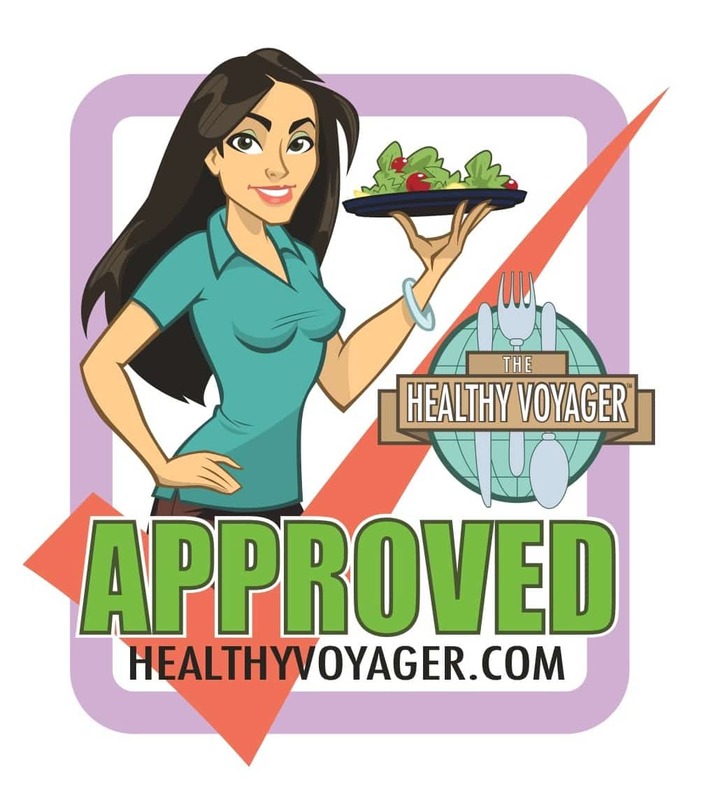 Home Free – www.homefreetreats.com – product line offers options suitable for: vegans, vegetarians, kids, gluten free, allergen free, natural sweeteners. Justin’s Nut Butter – www.justinsnutbutter.com – product line offers options suitable for: vegans, vegetarians, kids, gluten free, natural sweeteners. Luscious Desserts – www.lusciousorganicdesserts.com – product line offers options suitable for: vegans, vegetarians, kids, natural sweeteners. Mimic Creme – www.mimiccreme.com – product line offers options suitable for: vegans, vegetarians, soy free, gluten free, kids, natural sweeteners. Nana’s cookies – www.nanascookiecompany.com – product line offers options suitable for: vegans, vegetarians, gluten free, kosher, kids, natural sweetener. Naturally Nora – www.naturallynora.com – product line offers options suitable for: vegans, vegetarians, kosher, kids, soy free, natural sweeteners. Navitas Naturals – www.navitasnaturals.com – product line offers options suitable for: vegans, vegetarians, gluten free, kosher, kids, natural sweeteners – green company. No Udder Desserts – www.noudderdesserts.com – product line offers options suitable for: vegans, vegetarians, gluten free, kids, natural sweeteners. Nogurt – www.nogurt.com – product line offers options suitable for: vegans, vegetarians, gluten free, soy free, kids, natural sweeteners. Pamela’s Products – www.pamelasproducts.com – product line offers options suitable for: vegans, vegetarians, gluten free, organic, kids, natural sweeteners. Purely Elizabeth – www.purelyelizabeth.com – product line offers options suitable for: vegans, vegetarians, gluten free, kids, natural sweeteners. Pur Gum – www.pur-gum.com – product line offers options suitable for: vegans, vegetarians, gluten free, kids, natural sweeteners. Qbel – www.qbelfoods.com – product line offers options suitable for: vegans, vegetarians, kids, natural sweeteners. So Delicious – www.sodeliciousdairyfree.com – product line offers options suitable for: vegans, vegetarians, kids, natural sweeteners. Sunflour Baking Company – www.sunflourbaking.com – product line offers options suitable for: vegans, vegetarians, gluten free, kids, natural sweeteners. Sweet Riot – www.sweetriot.com – product line offers options suitable for: vegans, vegetarians, gluten free, kids, natural sweeteners – green company. Tempt Ice Cream – www.worldpantry.com – product line offers options suitable for: vegans, vegetarians, gluten free, soy free, kids. Turtle Mountain – www.turtlemountain.com – product line offers options suitable for: vegans, vegetarians, gluten free, organic, kids, soy-free, natural sweeteners. Xan Confections – www.xanconfections.com – product line offers options suitable for: vegans, vegetarians, gluten free, kids, natural sweeteners.